Jovelles is the home of the wonderful Burmese but it hasn't always been ruled by Burmese. We began breeding Persians more than 30 years ago under the Carinya and Sargon prefixes. We specialized in colour bred Persians which we showed very successfully with many Best In Show awards won by cats and kittens of our breeding. 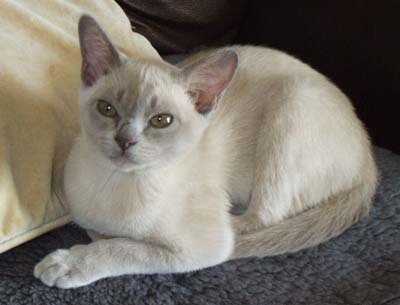 Then along came some beautiful British Shorthairs which we also bred with considerable success. Before long, the British and Persians were combined to produce Exotic Shorthairs - otherwise known as shorthaired Persians. There were some beautiful babies produced which also went on to win major awards over the years. 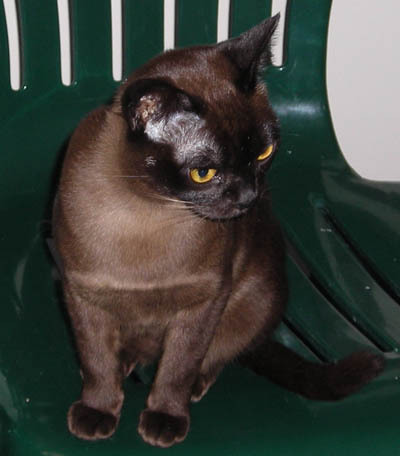 Eventually though, we decided to move to Toowoomba and had planned to retire from breeding however, our daughter's Burmese took our hearts and we began to breed these wonderful, opinionated, intelligent and affectionate furr-persons. 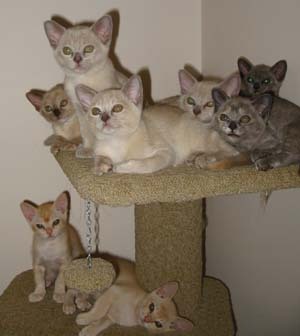 Today, we have a small breeding colony of wonderful family cats and kittens. All of our babies are born and raised in our home with lots of love and cuddles. I became a Group 1 Judge in 1986 and an All-Breeds judge in 1992. I have judged throughout Australia and New Zealand on many occasions. As well as judging in South Africa, I have also been fortunate to have numerous opportunities to judge as a CFA Guest Judge in Asia over the past couple of years. I am also on the All Breeds Guest Judges Panel of ACFA USA. 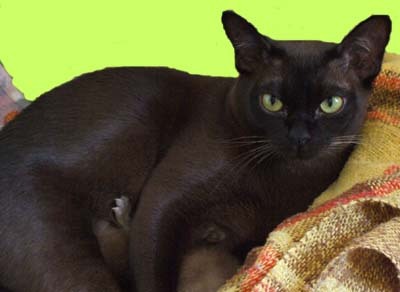 I am an All-Breeds Tutor Judge with Cats Queensland Inc. and am on the CCC of A Tutor Judge's panel. I am currently also on the Management Committee of CQ Inc. as the Vice President and also hold the positions of Honorary Registrar & Membership Officer. For the past few years, I have held the position of Vice President of the Exotic Cat Club of Queensland Inc. and I am member of the Curly Coats cat Club of Queensland Inc.